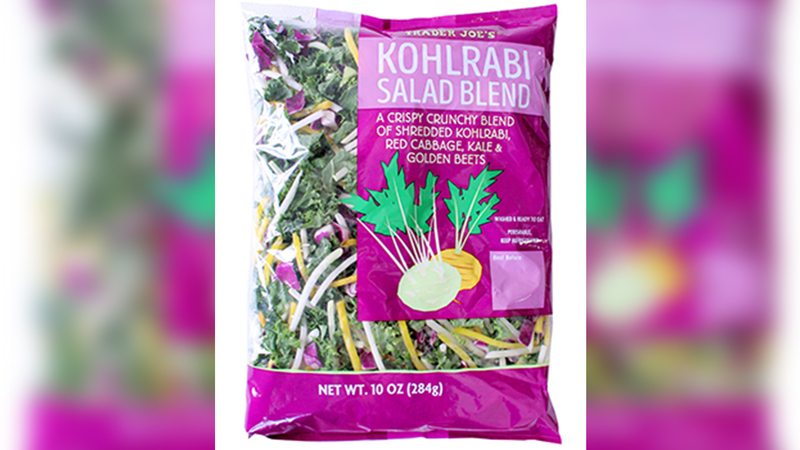 NEW YORK (WABC) -- Trader Joe's has recalled their Kohlrabi Salad Blend because of potential listeria contamination. The supermarket has removed all bags of this product with a "best before" date between October 14, 2017, and October 16, 2017 from its shelves nationwide. A statement on the Trader Joe's website warns, "If you have purchased Kohlrabi Salad Blend with any of the specified date codes, please do not eat it. Instead, we urge you to discard the product or return it to any Trader Joe's for a full refund." According to Trader Joe's, no customers have been infected due to the potentially contaminated salad.